Two weekends ago I attended my first book club meeting! The book club is a bunch of Chicago Healthy Living bloggers I met through the facebook group. (Check it out if you are a local blogger!) I've never participated in a book club before and I really enjoyed this one. This was the second meeting (but the first I could attend) of the book club and it was nice to meet a great group of women. 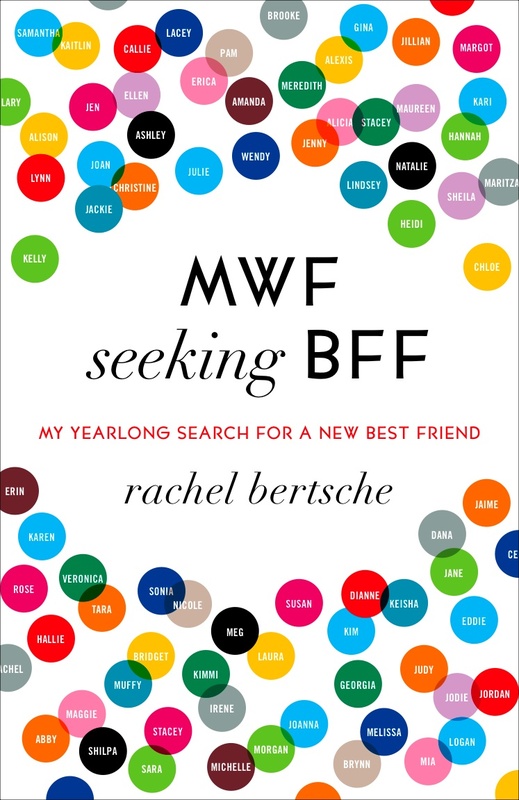 The book chosen for this month was MWF seeking BFF: my yearlong search for a new best friend. The author, Rachel Bertsche, documents her story of 52 friend dates, one per week for a year. Bertsche moved to Chicago with her new husband after being born and raised in New York. She quickly realizes that although she loves living with her new husband, she doesn't have any local best friends. Through many interesting and not-so-ordinary friend dates, from meeting friends at yoga class to paying for a friend date! This book is very applicable to my life currently. It has definitely been a struggle to find new friends since moving to the Chicago area. I love and miss my old friends dearly, but talking on the phone and seeing someone only a few times a year is not the same as meeting up with someone for dinner on the weekend. Bertsche gives a few tips for meeting a new close friend including reaching out to everyone you know and setting up dates. And also you need to follow through with suggestion, "We should meet up again sometime." The author also signed up for different classes to meet people which I think is a great idea. Bertsche shared interesting research on friendship--having friends helps one live longer and women are more likely to need friends than men. I would definitely recommend this book to someone who is going through a similar situation. If nothing else it reminds the reader that she is not alone in the friendship search and searching for a friend is nothing to be ashamed of! I spent several hours chatting with other bloggers at the book club and hope I can convert some of these ladies into friends! I can't wait till next month's book club! Have you struggled to make friends after a move? What are your tips for making new friends?